"Freedom, progress, diversity, respect." These are the goals photographer Claudia Gonzalez expressed to The Huffington Post. They serve as the ambitious hopes behind her photography project "Reassign." The striking series features before-and-after diptychs of individuals undergoing gender confirmation surgery in Cuba, and in doing so, immortalizes an identity that's all too often denied. Contemporary Cuba has made great strides in LGBT rights since the 1960s, when many gay men were forced into labor camps under Fidel Castro's rule. However, many employers still hang on to their prejudices, making it difficult for transgender individuals to find access to jobs and education. Some facing discrimination and oppression turn to prostitution or drug trafficking as a means of supporting themselves. 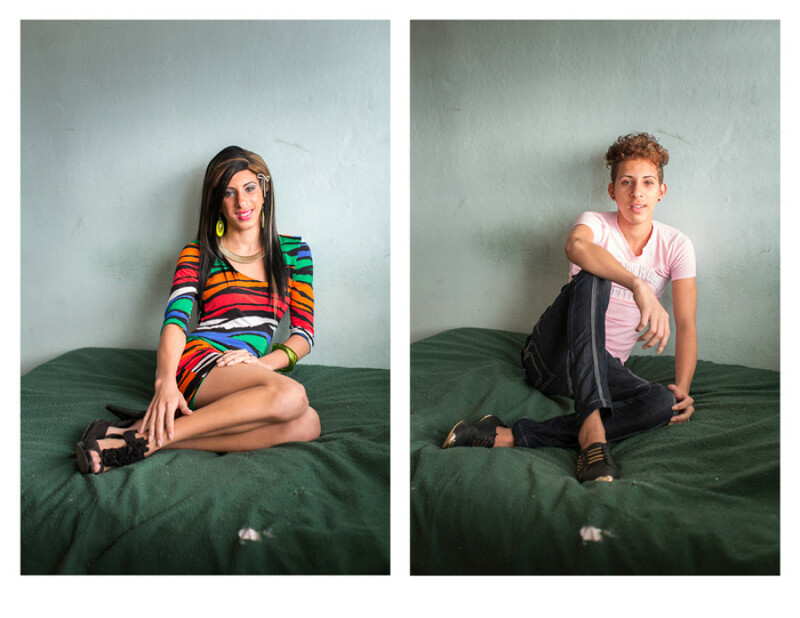 As a result, most visual documentation of transgender culture in Cuba revolves around these marginal areas of life. Gonzalez wanted to change that. She became involved with an institution called CENESEX, an educational, research and charitable institution that provides a holistic approach to the study of sexuality. "Well, when I heard about CENESEX I felt committed to this project," the artist said. "The idea quickly came to me." That idea was relatively simple yet revolutionary: capture sensitive and empowering portraits of transgender individuals involved with CENESEX before and after their gender confirmation. Each of the dual portraits were taken in the same day, meaning the photographic subjects hadn't actually undergone any physical transformations between the "before" and the "after." Rather, the images capture the symbolic transformation of the surgery. The transition of identity removed from physicality. In a way, the series' title "Reassign" has a wry bite, illuminating how such a binary, oversimplified term doesn't begin to describe the complexities of the gender confirmation experience. Gonzalez's photographs combine documentary and poetry to capture the current moment in LGBT rights of a country that's still evolving. "You can kind of measure how a country is changing by the way the people who are sexual and gender minorities are treated," said Mariette Pathy Allen, the photographer behind TransCuba. Hopefully such positive changes will only grow over time.